I am an active individual and I love sports. I play soccer, train Kungfu/Wushu (Chinese Martial Arts), and love weightlifting. Over years, I have been injuries several times. I had repeated ACL tears from landing badly from jump kicks. Although I had ACL reconstructed, the knee did not feel very strong nor felt very stable. It was hard for me to play sports that required sudden bursts of high-intensity movements. I went to Dr. Miyamoto to get my knee examined. Dr. Miyamoto and his team are highly qualified and friendly. He explained to me all the options I have in a great detail. We decided to have surgery where an extra graft was added to stabilize my knee. After the surgery, I have been able to go back to sports I love. The knee feels strong and stable. Recently, I also started training and competing in Olympic Style Weight lifting. 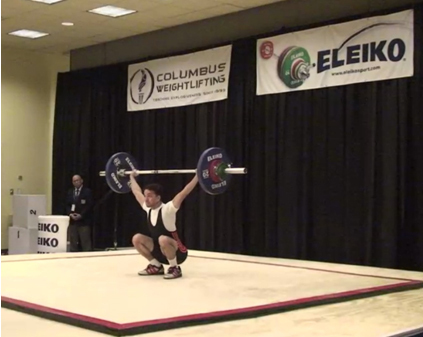 This year I was fortunate enough to qualify and compete in USA National Weightlifting Championship in 56kg weight division. So far my knee has not bothered me. I am very thankful to Dr. Miyamoto for fixing my knee and helping me get back to active lifestyle.